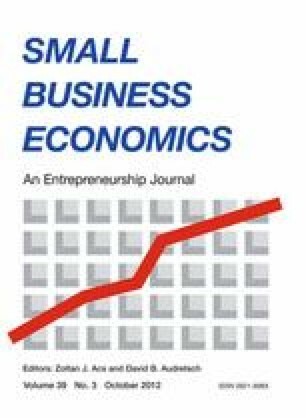 This study explores the financing choices of 1,214 nascent entrepreneurs in the PSED II dataset. Funding sources are divided into two broad categories: personal and external. We develop a set of hypotheses about the kinds of firm and nascent entrepreneur characteristics that would likely influence which categories of financial resources are used, and the amounts acquired. The majority of financing (57% of all financing) for emerging ventures comes from the personal contributions of its founders, who contributed a median amount of $5,500 per respondent. Firms that more likely to acquire external funding were projected to have higher levels of revenue, were incorporated, and were legally registered. Nascent entrepreneurs with higher levels of education and net worth were significantly more likely to acquire external funding. Results from analyses are presented and discussed. Implications of our findings are provided and suggestions for future research are offered. Versions of this paper have been presented at the Babson Entrepreneurship Research Conference, Chapel Hill, NC, June 2008; the 5th Annual Symposium on the Panel Study of Entrepreneurial Dynamics, Greenville, SC, November 2008; the Business, Entrepreneurship and Economic Recovery Conference, Federal Reserve Board, Atlanta, GA, October 2010. Fluck, Z., Holtz-Eakin, D., & Rosen, H.S. (1998). Where does the money come from? The financing of small entrepreneurial enterprises. NYU working paper no. FIN-98-038. Available at SSRN (http://ssrn.com/abstract=1297105). Accessed 11 April 2011.